Pirate40's Bitcoin Savings & Trust comes to an end. Laying rest to one and a half weeks of suspense, yesterday pirateat40, the pseudonymous operator of the Bitcoin Savings and Trust investment scheme, has officially announced that he is in default1. BST was a high-yield investment scheme that opened in November 20112and offered its customers interest rates of up to 7% per week, claiming to be able to offer such returns by “selling BTC to a group of local people” – ie. arbitrage. Since then, the scheme has grown rapidly, and Pirate claims3(and independent estimates agree) that over 500,000 BTC, or $7 million USD at the time, were deposited in BST at its peak. For months, the main question that has been asked about the scheme is: is it a legitimate investment? 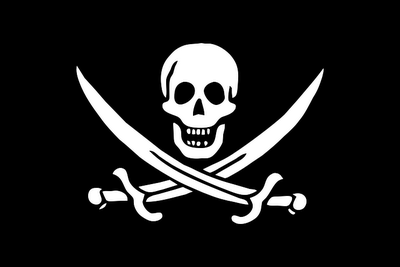 Proponents argue that it is, and justify Pirate’s pseudonymity and secrecy as being necessary to both protect him and prevent others from replicating and diluting the effctiveness of his business model, while detractors believe that Pirate’s unwillingness to further elaborate on the sources of his income is a sign that these underlying sources do not exist at all; in short, that BST is a Ponzi scheme. A third possibility is that BST is itself a pass-through for another Ponzi scheme, such as Sergey Mavrodi’s MMM-2011, although that possibility has become a remote one since MMM defaulted in June and BST continued operating for two months afterwards. The first shock to BST came on August 14, when Pirate lowered the maximum interest rate on his accounts from 7% to 5%4. Whether the scheme was legitimate or not, it was clear to everyone that an effective interest rate of 3313% was unsustainable and Pirate would have to reduce interest rates at some point. And, at some point this summer, the time finally came. At first, Pirate tried to continue his prior rate of growth and keep attracting new investors by attempting to increase investors’ confidence in himself; he announced on July 25that he, under a newly disclosed supposed real name of “Trendon Shavers”, would be attending Defcon in person on July 27-29, and invited investors and curious Bitcoin users in general to meet him in public – “look at a pirate, eye to eye if you dare”, the forum thread read. There have been no confirmed reports that anyone actually saw Pirate at Defcon, but the announcement alone restored confidence at least for a short time. However, even then, BST was simply growing too large and too quickly to last, and on August 14, Pirate was forced to contain his growing debts by shifting down his gears. 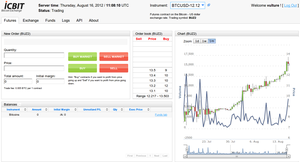 However, Pirate’s measure utterly failed in its intent; as Pirate himself describes6, “In a perfect world this would allow me to hold more coins in reserve outside the system, but instead it only exponentially increased the amount of withdrawals overnight causing mass panic from many of my lenders.” And thus, on August 17, Pirate was forced to finally shut down. Since then, following the tradition started by the July 11 Bitcoinica thief donating 100 BTC to a claims fund7, Pirate has paid back 106.92 BTC8to one of his depositors, and has only been claiming to make progress toward repaying any others. At first, Pirate promised that all BST depositors would be paid back including interest up to the last hour – a promise which many pointed out would be very difficult to fulfill even for a legitimate business, as he would be accruing over $50,000 USD of new debt every day, but many believed that he would be able to manage the feat. On August 28, however, Pirate announced that he would not be able to pay back his depositors after all, and that he was officially in default1. He has nevertheless made vague promises that depositors would be partially paid back, requiring operators of so-called “Pirate pass-through” bonds on the Global Bitcoin Stock Exchange to report a list of their customers9to Pirate by Friday if they want to be refunded. The consequences of this are far-reaching. Almost immediately after Pirate announced BST’s closure, the Bitcoin price ended its three-month long rally after briefly spiking up to a one-year high of $15.4 and began a precipitous decline, losing slightly over half its value over three days9before recovering to what appears to be a stable level at $10-$11. It is unclear if a Pirate default is good or bad for the Bitcoin price; on the one hand, it reduces confidence in Bitcoin as a whole, while on the other hand, it means that many wealthy depositors suddenly have far fewer bitcoins than they thought they would have, and would thus need to buy more (or sell less) to compensate. Many bets have also been made10,11over whether Pirate would pay back; these bets have not yet closed, as the deadline for Pirate to pay in full is still over one week away. In the long term, it remains to be seen how this incident changes both the public attitude on the outside to both Bitcoin itself and the financial freedom that it offers and how the Bitcoin community will perceive any new lucrative Bitcoin investment, legitimate or not, that presents itself in the future. For now, many are relieved that this chapter in the Bitcoin community’s life is finally drawing to a close. A more detailed version of this article will appear in an upcoming issue of Bitcoin Magazine in print.